Also Happens On a cruise! In 2016 almost 43 million people visited Las Vegas, and spent a record amount of money there – about US$35 billion. In 2016 there were about 24 million global cruisers. A big gap of almost 20 million people. Imagine if we could sway just five million of those Vegas visitors to come cruising instead – or at least more often. I am sure there is plenty of overlap between Vegas visitors and cruisers. We all know that Vegas went through a remarkable resurgence a number of years ago; the city and its developers built new, stunning and gorgeous hotels. Big name chefs, top-line entertainment, Sin City has it all. But think about this – hasn’t the cruise industry been doing much the same thing? The two key enhancements that have been an integral part of the latest and greatest cruise ships over the last number of years are cuisine and entertainment. Celebrity chefs have been a part of cruising since the early days of Crystal and its relationship with the iconic Nobu. And it exists to this day. 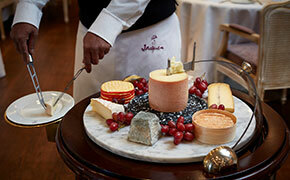 But how about Jacques Pepin and Oceania, Princess Cruises and Aussie chef Curtis Stone? When the new MSC Seaside debuts this December, famous Chef Roy Yamaguchi will have a restaurant onboard. Of course, there’s the renowned Chef Thomas Keller now on Seabourn yachts and I can attest to how fabulous The Grill is on Seabourn Encore. 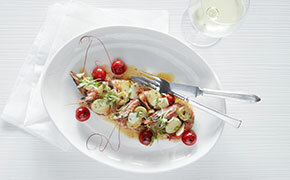 And so many more – Michael Schwartz of James Beard fame on Royal Caribbean – Jamie Oliver on the same cruise line. Jose Garces on Norwegian and Guy Fieri on Carnival. And Norman Love and his more than fabulous chocolates, also on Princess. A major factor with these palate-pleasing chefs at sea and their gorgeous dining spots is that most of the time there is no extra charge. And if there is it is minimal and far below what would be charged on land. If you manage to get a reservation at one of Chef Keller’s restaurants – Per Se in New York or French Laundry in Napa Valley, California -- the meal will cost well over a hundred, likely several hundred dollars plus wine. If you dine on one of Seabourn’s gorgeous yachts, the meal at The Grill is included in the cost of the cruise – as is the wine. For foodies, it’s important that we point out the wide-ranging choice of restaurants of all kinds on today’s ships, and the amazing value they deliver. It’s not just about big-name chefs, there are stunning restaurant choices across the board – Q’Sine on Celebrity, Wonderland on Royal, James Beard menus on Windstar, Relais et Châteaux on Silversea and on it goes. Now to entertainment. I won’t bore you with a rundown, nor do I have room. But how often do you tell your clients that they can see a Broadway-style show on a ship? Again, for no extra charge. 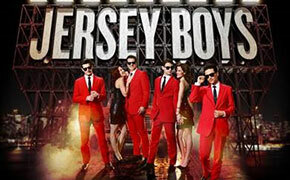 Mamma Mia, Grease, Saturday Night Fever and more, and soon on Norwegian Bliss in Alaska, the iconic Jersey Boys. What about the incredible Aqua Theater on the Oasis-class ships of Royal Caribbean? I saw a show on Harmony of the Seas last year called The Fine Line. I described it then as “Mad Max meets mainstream cruising.” It pushes boundaries with modern dance, ballet and diving , all performed by extreme athletes and accompanied by powerful music. I have never seen anything like it on land or sea. 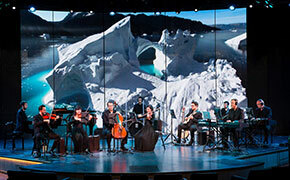 On Holland America’s Koningsdam, a truly gorgeous ship, the World Stage offers amazing shows, including the Lincoln Center Orchestra accompanying the BBC Frozen Planet video in a purpose-built theatre offering a 270-degree screen. It’s awesome in every respect. Back to MSC and its newest ship the Meraviglia – a complete Cirque du Soleil show is playing. A real Cirque show with yet another purpose-built venue to showcase the incredible talent of this proudly home-grown Canadian troupe. And there’s more – ice shows, pubs, comedy clubs, discos, DJs, Latin lounges, rock shows, classical performances, piano bars, poolside calypso, Simply Ballroom on Celebrity and Burn the Floor on Norwegian, B.B. King’s and Billboard Onboard on HAL, full-screen movies on deck with popcorn and some of the best views in the world on a variety of lines. An evening with Sir Tim Rice on Seabourn, a really enjoyable retrospective of his songs and the stories behind them, with interview vignettes from Sir Tim himself. Again, most of these entertainment choices are complimentary and if there is a charge it is minimal -- nowhere near what you would pay on shore, whether in Vegas, Toronto or on Broadway itself. These are all part of the core value of cruising, but they must be promoted and showcased to prospective cruisers. They represent some of the hot buttons we can use to convince “new-to-cruise guests” of what they are missing and how much they can see, do and taste on some of the best floating hotels in the world.